X-Wing VS. 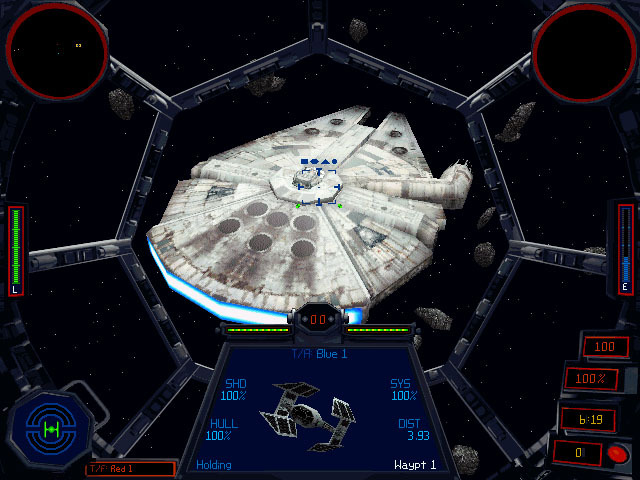 TIE Fighter is the newest installment in Lucasarts' flight sim series. 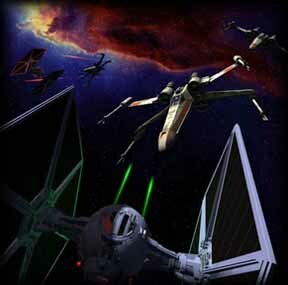 It incorporates real-time space dogfighting with excellent 3D graphics. Also, it includes one of the most asked-for features, which is that of multiplayer play. You no longer have to fight the computer for the rest of your life. Now you can battle other human beings over the internet, LAN, null-modem cable, or modem. This game is now the basis of how other flight sims are judged. It's fantastic. You can get more X-Wing VS. 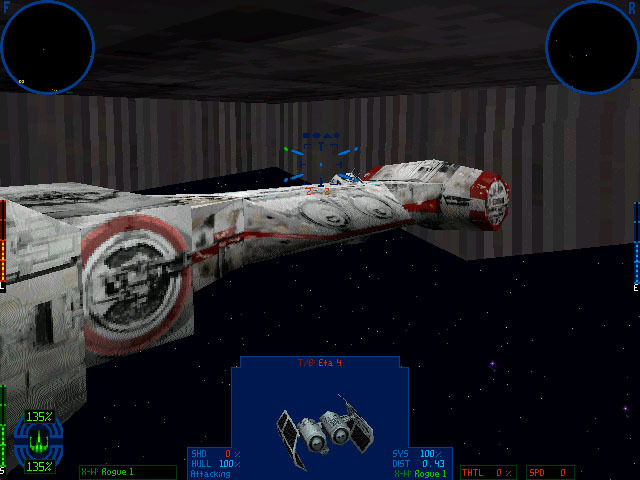 TIE Fighter information at Lucasarts' official X-Wing VS. TIE Fighter site.